The Warwick Valley wrestling team headed upstate this weekend to take on some of the toughest competition in the state at the Civil War Duals in Shenendahowa. The Wildcats went 5-2 and placed 3rd out of 8 teams; they now have a 8-2 overall record. Warwick received standout individual performances from Justin Corradino, Kyle Weirzbicki, Ryan Bedross and Pavel Gorelov. One of Gorelov’s victories came against defending Section 8 champion Andrew Jones from Plainedge. Below is a summary of Warwick’s matches. With 7 in Finals NFA Wins John Jay EF Tournament! Congratulations to the NFA wrestling squad for an outstanding job at Saturday’s John Jay East Fishkill Tournament. The Goldbacks finished first out of 13 teams and had seven finalists including two champions! John Derham (126) and Terrence Cheeks (285) took home titles while Johnny Bastone (106), Sean Foschini (113), Coby McGuire (132), Kyle McGuire (170), and Isaac Serrano (220) all placed second. Damani Burns (106), Matt Quintana (138), and Ray Hernandez (160) came in 4th for NFA. Way to go Goldbacks! Dylan Booth (106), Dylan Muller (145), Bret Sauschuck (152), and Dan DeCarlo (170) all won individual titles at Saturday’s Huntington Invitational. Also placing for Port were Travis Curreri (3rd @ 220), Travis Edwards (4th @ 160), Randy Wilson (4th @ 182), Henry Shall (5th @ 285), and Nasson Bailey (6th @ 113). The Red Raiders finished 5th in the team standings. Great job guys! Minisink finished the Colonie Dual meet tournament with a perfect 9-0 record to take home first place honors. The Warriors were led by freshmen Gerard Daly (99) and Michael Raccioppi (106) who both finished the tournament with 9 wins. Anthony Sannella (182/195) finished 8-1 while Nick Truglio (126), Devyn Fennel (145), and Frank Mayo (170) all finished 7-2 for the tournament. Special congratulations go out to Hudson Falls’ 160 wrestler Aaron Dudley who recorded his 200th career victory at the tournament. Congratulations Aaron! 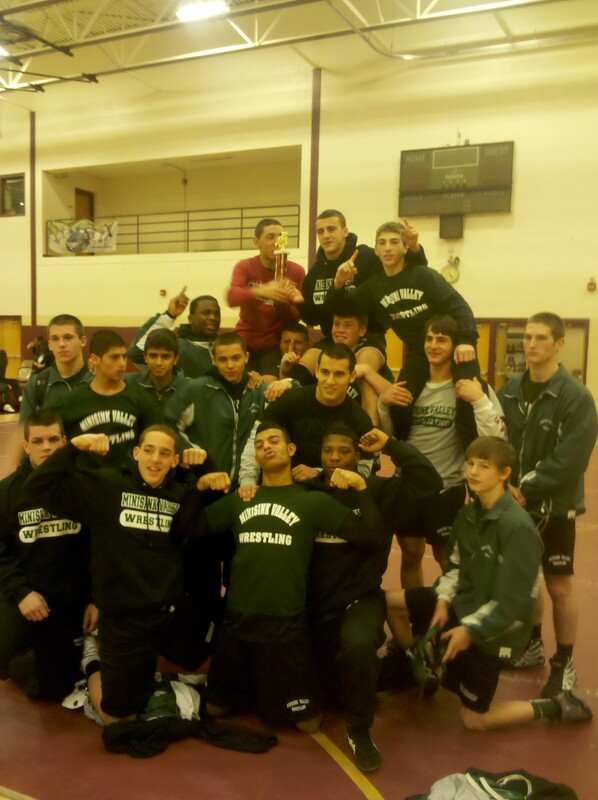 Minisink Valley went 5-0 on Saturday at the Colonie Duals highlighted by a dramatic 32-30 victory over Queensbury. Queensbury, a perennial Section 2 power, returned nearly their entire team from last year which finished ranked # 7 in the state according to the sportswriter’s poll. The Warriors also had victories over Ravena, Ketham, Colonie, and Scotia. Gerard Daly, Michael Raccioppi, Nick Truglio, and Anthony Sannella finished the day 5-0 for Minisink. Day two of the tournament begins 9:00 AM on Sunday when the Warriors will take on Burnt Hills, Division, Rocky Point, and Hudson Falls. SUNY Cortland’s Wrestling squad, ranked 8th nationally in DIII, scored 165.5 points to win the Messiah Petrofes Invitational on 12/3. Contributing to the Red Dragon’s success were two former Section 9 wrestlers. Corey James (Kingston, 2009) placed 6th at 285 lbs while team captain Justin Signorelli (Highland, 2009) placed 7th at 165 lbs. 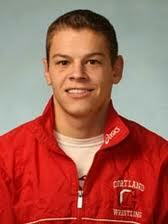 Click here for article fron SUNY Cortland’s website including full brackets. Great job guys! 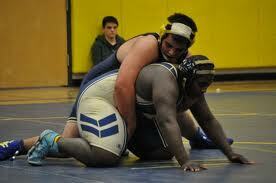 2010 Port Jervis graduate JD Zitone is off to a phenomenal start wrestling at 285-pounds for Centenary College in NJ. Click here to read full article from Centenary College’s website. Keep it up JD! Hofstra won eight of ten matches en route to a 27-6 victory over the Army Black Knights on Thursday at a match held in Christl Arena, West Point. 2009 Monroe Woodbury graduate Jamie Franco, a red-shirt sophomore for Hofstra, recorded a 2-1 victory over Army’s Jordan Thome at 133lbs. Thome was a national qualifier last year and has been ranked in the top 20 in the nation at 133 in some polls. Click here for complete story including box score. Congratulations to Warwick (D1) and Red Hook (D2) for earning titles at last night’s Section 9 Duals held at Newburgh Free Academy. Spectators were treated to an exciting evening of wrestling as both title matches were determined by the final bout. Fans also witnessed an individual milestone victory an Pine Bush sophomore Johnny Stramiello recorded his 100th career victory. Congratulations Johnny…great job! Below is a match-by-match summary of all of last night’s action. Click on the team score for box scores. Shane Connolly’s first period pin over Monroe Woodbury’s Drake Barczak at 145 lbs. lifted Warwick to their second consecutive Section 9 Duals title. Connolly, a 4X Section 9 Champion, did exactly what what was needed to secure the team victory because Warwick was trailing by 5 points going into his match, the final bout of the evening! Monroe Woodbury had taken the lead in the previous bout thanks to Tom Murphy’s technical fall victory over Tom Wightman at the 5:02 mark. Although Connolly’s pin secured Warwick’s victory, the most exciting and perhaps the most important bout of the finals occured at 160 pounds where Warwick’s Ryan Bedross defeated MW’s John Vandercliff by a 7-4 margin. Trailing 4-2 with less than 15 seconds remaining, Bedross scored a take-down and 3 near-falls points using his signature spladle! Warwick also received pins from Justin Corradino(126), Joe Ginley(132), Kyle Wierzbicki(152), Pavel Gorelov(220), and Chris Giordano(285). The Crusaders received pins from Vinny Vespa(99), Anthony Milano(170), and Rob Kelly(195). Red Hook wrestlers recorded 3 pins and a technical fall in their last four bouts to cap off an amazing comeback to win the Division 2 Section 9 Duals title. Red Hook received pins from Declan Dwyer-McNulty(113), Aaron Barkstrom(126), Matt Rauch(132), Luis Garcia(138), Cameron Tondini(182), and a techical fall from Ricky Treu(145). Onteora got pins from Avery Leighton(120) and Austin Mowery(170). Although the final score of this semifinal was lopsided, this D1 semifinal was not without drama. To begin with, Pine Bush sophomore and 2X defending Section 9 Champion Johnny Stramiello recorded his 100th career victory. Stramiello’s milestone victory came via pin against Warwick’s Alex Bharath at the 1:19 mark in the 113 pound bout. In the most anticipated bout of the match, Warwick’s Ryan Bedross defeated Pine Bush’s Chris Weston by a 2-1 margin at 160 pounds. The match also featured three other bouts pitting ranked opponents against each other. Pine Bush’s AJ North pinned Warwick’s Matt Greenlaw at the 1:04 mark at 106 lbs. At 132 pounds Warwick’s Justin Corradino pinned Pine Bush’s Jordan Robles at 2:26, and at 170 pounds Pine Bush’e Patrick Sause earned a 7-3 decision over Warwick’s Andy Sliter. Arguably the most exciting dual of the evening was this semifinal between #2 seed Monroe and #3 seed Minisink. The match featured major upsets, last-second / OT victories, as well as a few showdowns between ranked opponents. The match only had 5 bouts determined by pin fall, the fewest of any dual of the night. In the biggest upset of the S9 Duals, Minisink Valley’s Devyn Fennel defeated Monroe Woodbury’s Tom Murphy 9-4 at 145 lbs. Murphy was a Section 9 finalist last year and his only previous loss this year was to a 2011 state finalist (Danny Ventura, Fox Lane). Another major upset occurred at 160 pounds where unheralded Minisink Valley senior Jake Hoffman defeated 2X Section 9 place finisher AJ Voelker. Fans were treated to back to back “barn-burners” at 113 and 120 pounds. At 113, Monroe’s PJ Smoot scored a last-second take down to secure a 6-4 victory over Minisink’s Mason Rambrose. It took 3 OT periods to determine a winner at the 120 pound showdown between MW junior Alex Baum and MV freshman Chris Truglio. Baum scored a last second reversal in the 2nd ride-out period to earn a hard-fought 5-3 decision. In other matchups between ranked wrestlers, Gerard Daly(MV) defeated Vinny Vespa(MW) 4-0 at 99, Frank Mayo(MV) beat John Vandercliff(MW) 3-2 at 170, and Anthony Sannella(MV) decisioned Rob Kelly(MW) at 195. The top four seeds all advanced to the semifinal round of this year’s Section 9 Duals Championship tournament. In preliminary action at the Middletown site, Middletown defeated Port Jervis by a score of 48-37 while Saugerties defeated Kingston 35-29. In the quarterfinal round, Middletown was defeated by 3rd seeded Minisink Valley 58-24. Saugerties did not fare much better in their quarterfinal against #2 seed Monroe Woodbury losing to the Crusaders by a score of 58-18. Click here for the individual results from the Middletown site. At the Pine Bush site fans were treated to an exciting preliminary match between Cornwall and Valley Central eventually won by the Dragons by a 39-30 score. In the other prelim, NFA overmatched Washingtonville 51-32 to advance to the quarterfinal round. The quarterfinals went according to seed as #1 Warwick beat Cornwall 52-21 and #4 Pine Bush defeated NFA 43-30. Click here for individual results from the Pine Bush site. Day 2 of the Duals begin Wednesday at NFA with semifinal action getting under way at 5:30. The semifinal match-ups are #1 Warwick vs. #4 Pine Bush and #2 Monroe Woodbury vs. #3 Minisink Valley. The Division 1 and Division 2 (Onteora vs. Red Hook) finals will start at approximately 7:00PM. Good luck to all of the teams!